'Remember, remember, the fifth of November'. The gunpowder plot is a famed tale of treachery that continues to fascinate and capture the imagination four hundred years on. The Gunpowder Plot in an Hour reveals the elaborate background to the infamous plot to blow up the Houses of Parliament and James I, the ultimate act of treason. This compelling and engaging account of one of the most famous historical events in English history follows the Catholic protagonists hatching their plan through to their inevitable, gruesome deaths. Learn who the Catholic traitors were, what drove them to such desperate measures, and how the plot was discovered. 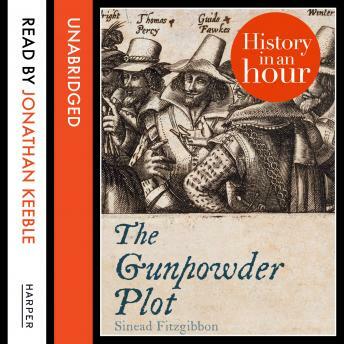 The Gunpowder Plot in an Hour gives a concise overview of this enduring event and is a must for all history lovers.